and are consulting in front of the garage next door. I hear, their conversation full of dialects where the shop names flutter. From this window I can not see the state in the garage. to take out heavy luggage from the trunk of the car. If it is not furniture, it may be an agricultural tool. when I went out, the sun was completely dusky. I walk alone in a faint residential area. on it with daikon radish as a side by side like a mattress. It goes near the house that is exceptionally poor. The house name of this house is Kamegorou. A woman I met on the net should live here. and chatting with my family. I speak to her on the way. "A little while ago, I met an old woman." She seems to be the granddaughter of the old woman. 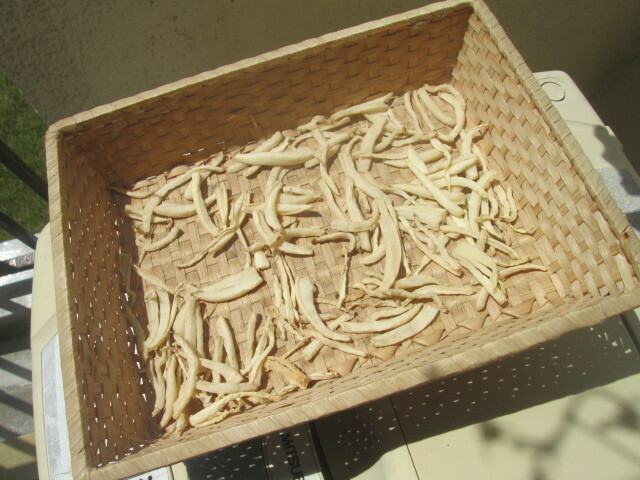 to make dried strips of daikon radish at the southern veranda.